As many of us gear up for teaching in the upcoming (or already upon us) academic year, I wanted to share a mapping exercise. 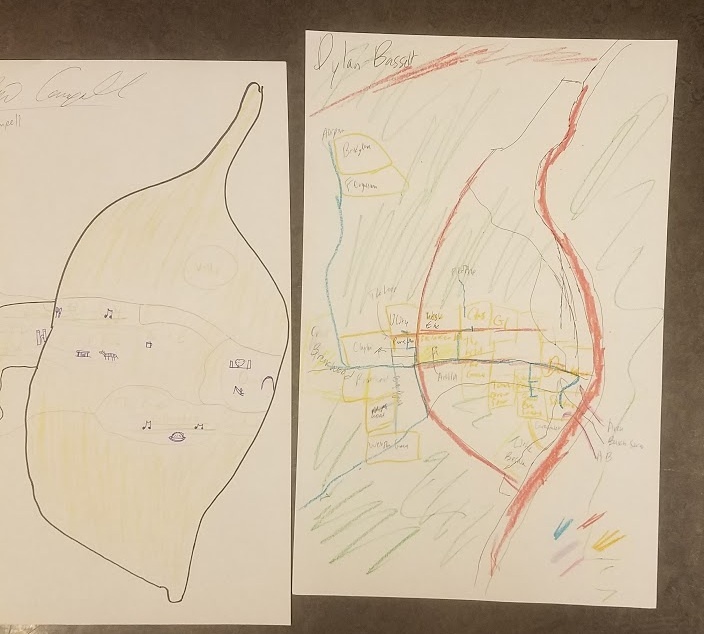 This exercise asks students to consider how their lived experiences dialogue with internal and official maps of the city they live in and engage with conceptions and urban practices of segregation, division, and equity. I learned of this exercise from Sarah Sims, K-12 Programs Manager at the Missouri History Museum. Sims facilitates teacher professional development, guides museum educators, and leads workshops such as “Summer Teacher Institute about Civil Rights” and “Community as Classroom: Place-Based Education for Social Justice.” I met Sims when my “Urban Ethnography in St. Louis” class toured the museum’s #1 in Civil Rights: The African American Freedom Struggle in St. Louis exhibit (which runs through April 15, 2018). We then used this mapping exercise in a subsequent week. Having students map, I have a found, provides an inquiry-based awareness of maps as constructed representations of place and space. Who constructs maps and what information is used to make “official” maps, such as google maps, atlas maps, or government-used maps? What information do maps include and exclude? How does one’s own experience in place contribute to internalized views of space? In what ways are maps engines of segregation, dispossession, and division? In what ways might maps be used for equitable outcomes for vulnerable and marginalized communities? These are some questions my students considered before, during, and after they constructed their own maps. -Not as we see them on google maps, or government maps, or other such official maps. -But how we internalize the spaces of our community in our minds and memories, and how we live and move in those spaces. -And how these internal/lived maps contribute to how we conceptualize, talk about, and compartmentalize our communities. -This is not an artistic competition! The seven steps are as follows – they are framed for St. Louis but applicable to any city. Make sure to give time, about 3 to 5 minutes, for each step. Note: I showed my students a slide of St. Louis to help them draw the shape of the city. After completing this mapping exercise, I asked my students to lie out all maps in a line, and observe them together. What stands out to you as you view our maps together? What things are similar about all of our maps? Are there intersections between how we remember the map of our city/community and how we interact with our city/community? What explicit or implicit biases are visible in our maps? What are the implications of our internal/lived maps on our role as students and urban ethnographers at Washington University? This entry was posted in Conferences and Workshops, Maps & Mapping, Public space, St. Louis, Teaching Urban Topics by jasminemahmoud. Bookmark the permalink.